You forgot to mention possible financial ties to the Boulevard redevelopment that those two men probably have. Remember the Boulevard is going to be massively redeveloped soon. 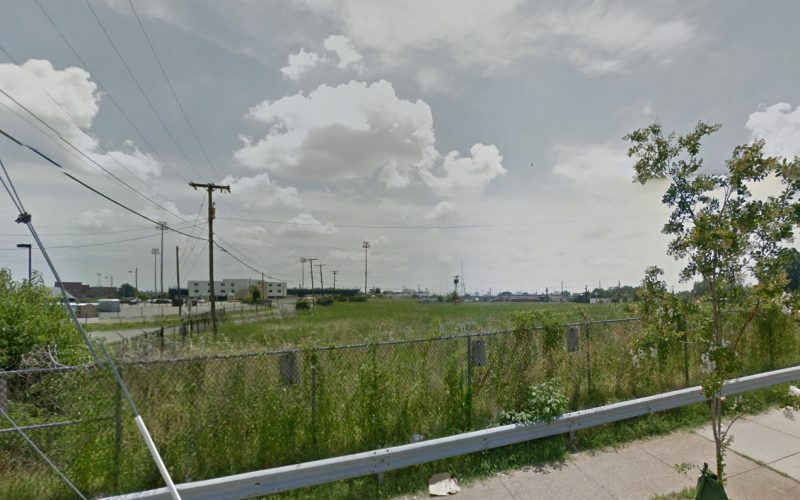 They want to make that area the new downtown… of course they want the station there! But is that the best thing for the whole city? I agree with you that it’s not. However, why does building a station at Boulevard completely rule out the Main Street Station existence? A small but modern station at Boulevard that does not have every train stopping there would be a great combination with the Main Street Station. Let the higher speed trains skip it on the way to Main Street. I agree with you that expanded and improved service to main street station should be the main priority for this project, but I’m curious about something. You call Trani out on his assertion that most major cities have one major train station, but don’t dig into the issue too deeply. In DC, some Amtrak trains stop at L’enfant Plaza and Alexandria (which is practically an extension of DC in some respects). In Baltimore, many (all?) of the Acela trains stop BWI as well as downtown, effectively offering a county/city setup not entirely unlike the setup we have here in Richmond. His argument also totally overlooks that most of the cities he is referencing have robust regional commuter rail stations (LIRR, Metro North in NYC, for example) with multiple stations within city limits, which obviate the need for multiple large amtrak specific/exclusive stations. I guess my question is: Do you think we should keep the staples mill Service, or try to consolidate everything to downtown? Is it acceptable if this is done piece meal, or do you think it needs to be done quickly? Why? 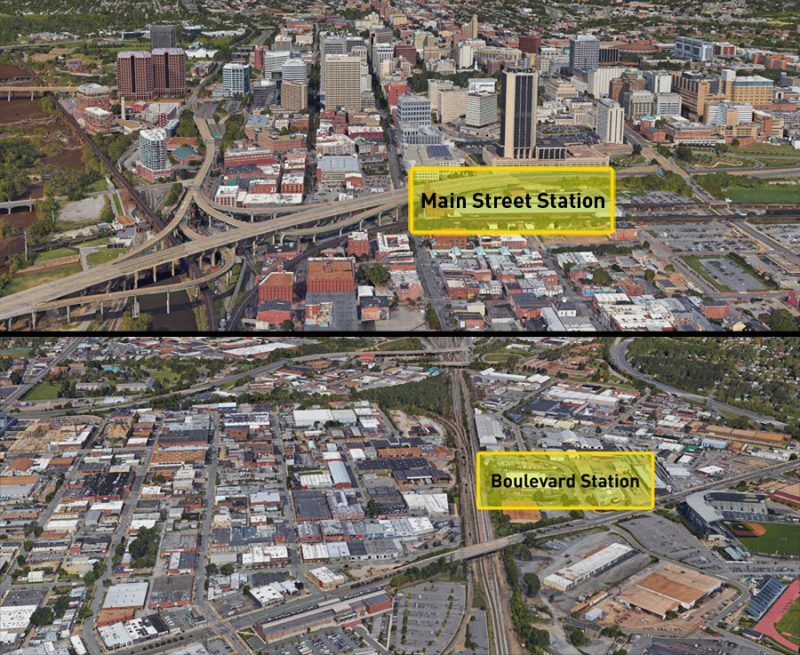 the one thing not in favor of main st station being the main richmond station is that it is not on the main north-south rail line. trains running north / south of richmond have to detour onto east-west rail lines utilized heavily for freight traffic. if every north-south bound train has to detour to east-west lines to get downtown, this is going to delay a lot of rail traffic. i’m surprised nobody brought this up. 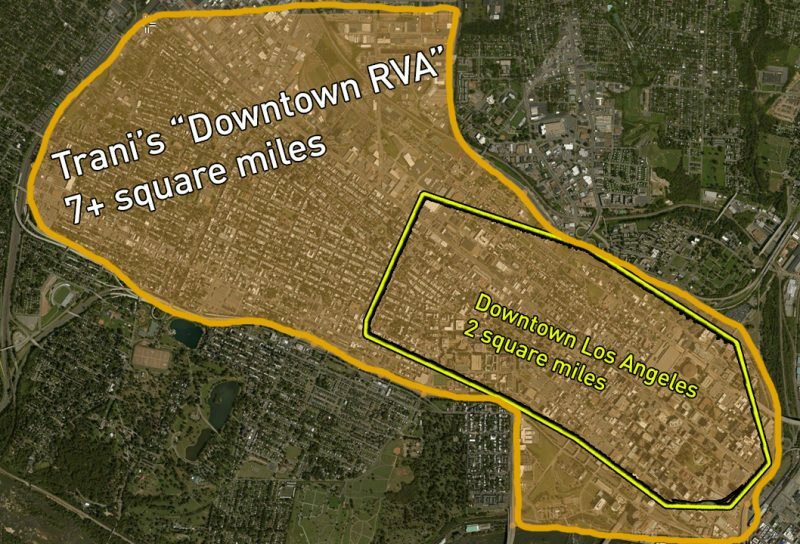 now, if CSX works out something so that there is an extra spur running from the north-south line to main st, then when DC-RVA high speed rail becomes possible, it should indeed stop downtown. but – the staples mill station is a nightmare to enter/exit and has all the charm of a cinderblock. I would add that Uber and self-driving cars will make parking issues insignificant. I completely agree. Most major auto producers have already projected massive (30%) reductions in sales over the next decade for the same reason. Parking requirements will drop tremendously. Interesting analysis, but you should refine your map of downtown parking to exclude state-owned lots, since they won’t be available during the week ( that’s where state employees park). If those are removed, and substantial parking still exists, then you’ve strengthened your argument. I agree wholeheartedly! The Main Street Station is the best for those of us who train often. The nefarious Eugene Trani and John Watkins must feast on the flesh of young professionals to survive. Thanks for your lively rebuttal of the suggestion that Boulevard needs a train station. 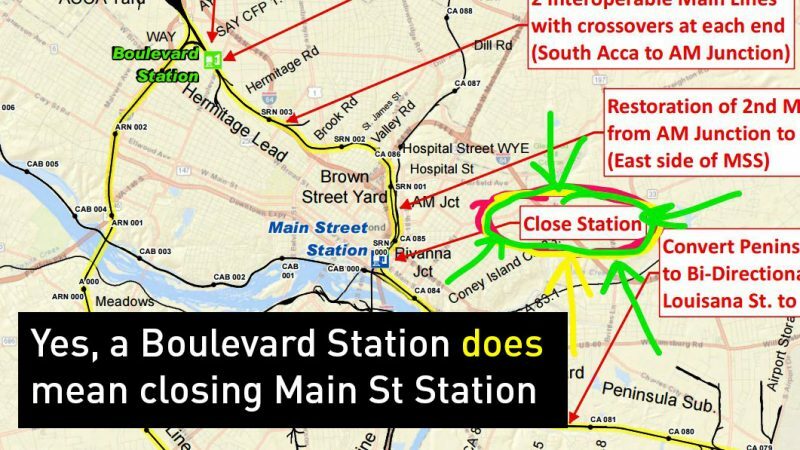 One of the major problems of this plan is its attempt to undo the past: that is, when our passenger rail service agency closed many of its downtown stations in 1975 in the misguided belief that the way to lure commuters was to build stations in Outer Burbia. People tend to get in their cars, though, and keep driving. The region then was bequeathed the polyvinyl Amshack in Staples Mill in grudging recognition that some people actually ride trains. That station now consistently numbers the greatest boarding and disembarking passengers of all others in the state. This left both Main Street and Broad Street stations bereft. Until the 1950s, Broad Street was our central rail hub. Main Street took up slack in for other directions. Lost to purpose, the sat and rotted until Broad Street’s domed glory received rescue from the Sen. Ed Willey and the state and became the science museum. And thus we should rip up Boulevard for a train station because …no transit goes to Staples Mill? How about some regional cooperation here and run a regular service to-and-from? This requires more diplomacy than money, though, some friendly corporations could make bucket loads building yet another contemporary perjury against architecture. Much as it annoys me, I’d rather the Staples Mill site undergo a massive overhaul with the caveat that a transit component be built in. And then fix the knot in the Acca Yards which were left to freight after Broad Street closed and why we’re in this situation. Make it so a train heading out of Staples Mill to Main Street needn’t slow down to the speed of a car stuck in bumper-to-bumper traffic. And another thing, a train cannot leave Main Street Station and head due south because of needed upgrades to the “Centralia Alignment.” The track is there — and not used much — but it’s designed for freight, not passenger, traffic. One estimate I received back in the early ‘Aughts was for about $30 million. That is today surely more expensive — but stop to consider than the now privately run Pocahontas Parkway was constructed for about $324 million and that extending Route 288 from Route 76 in Chesterfield County to I-64 in Goochland County clocked in at $319 million, transit improvement is not as staggering in numbers. And also highways must be maintained — from the asphalt to the median beds, from the overpasses to the comfort stations — so these are essentially underwritten on perpetuity by the governing entities that built them, or allowed them to be built. Enter tolls — which hasn’t exactly endeared the Pocahontas Parkway to anyone, much less the Downtown Distressway. By the way, Main Street Station’s first three improvement and expansion phases cost $51.6 million. In the same time frame, the dreaded Springfield Mixingbowl in Northern Virginia weighed in at a whopping $700 million. Let downtown be downtown. Keep Main Street Station, improve its connections and though I dislike the location, just figure out how to improve Staples Mill. Give the region a gateway to take pride in and which is relatively easy to get and out of. Leave your donation to my consulting fee in the box on the way out. Remind me why only one station is needed? Send freight to Staples Mill; send passengers downtown to Main Street! However, all the arguments about whether to keep Main Street Station are quite likely a moot point — as my understanding from the high-speed rail folks is that we are practically required to keep Main Street station in the mix because it is the only locale that fulfills all the criteria the feds impose in order to qualify for further funding from them. (They have stipulations for serving the highest population densities, inner city and urban renewal considerations, etc.) Seems like Trani would know that, but . . . when you’ve got an ax to grind (and developer millions to make), I guess it serves his purposes to ignore it. Assuming that Main Street is a given, I personally am not averse to having a second or even third / subsidiary train station in town. If station size and footprint were kept within reasonable limits (and a large parking lot is NOT the idea here), the Boulevard location could serve as a useful access point for those living in more western and northern parts of town, giving them access to multiple modes of public transportation. 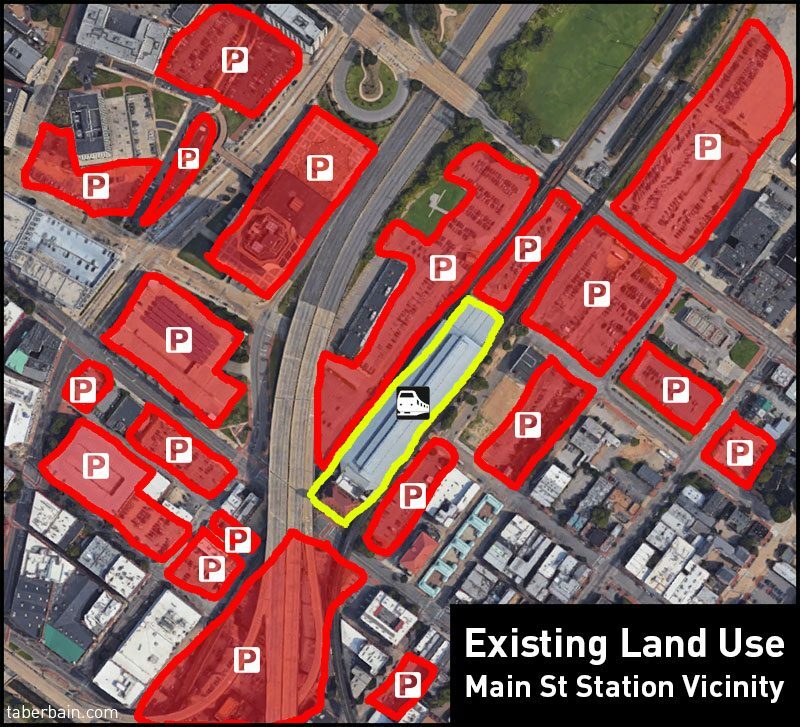 A mixed-use option could incorporate a smaller train station, a Greyhound and GRTC bus hub, Uber / taxi spots, some restaurants, and some residential housing. (And trees!) And not every single train that leaves Main Street has to stop there. The same could potentially be done with the current Staples Mill location — though I would use whatever expanded space is created NOT to enlarge the stupid parking lot, but to provide similar kinds of walkable amenities a Boulevard station might — a devoted bus line going into town / hooking up with the Pulse, decent food places and/or shops, pleasant landscaping, etc. This is one of Richmond’s real opportunities to shape how our city will look and operate not just 20 but 50-75 years from now — and to build that vision around a 1990s notion of the personal automobile is not only short-sighted but, frankly, pretty stupid. The Tranis of this world turned VCU into an ugly, unfocused, sprawling mess; let’s not let them do the same to the rest of Richmond! Great article – this should spike this idea of a Boulevard station by itself. I do think transit oriented planning around the Staples Mill Station can lead to a more urban environment there. Are Henrico’s planners that forward looking? At this time I doubt it. Someone commented on a related topic that other cities successfully have more than one train station. Examples provided were Baltimore (Penn & BWI) and DC (Union & Alexandria). I disagree that these examples are successful. Baltimore is a prime example of how two stations have diminished value and caused a non-unified and poor solution. Accessibility at the BWI station is very poor for the region; it only slightly works for air travelers. The light rail does not go to the BWI station; and the nearest LR stop to Penn Sta is a three-block walk that is poorly lit at night. If Baltimore had (instead of building the BWI station) focused more on making Penn station easily accessible, they would have a more efficient solution for the region. Imagine multiple light rail lines intersecting at Penn station. Balt-2-DC commuters would not need to rely on the interstates to get to the train station, as they do today. As for Alexandria, this station sits directly on the line going south from Union station, and I don’t think people consider it a viable transport hub. When traveling via Amtrak, I don’t see many travelers getting on/off at Alexandria. Alexandria neither supports nor detracts from Union Station as a transport hub.